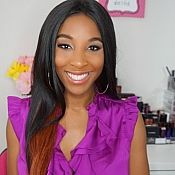 My name is Sayeeda Bennett and I am a YouTube beauty blogger with over 8,000 subscribers on my YouTube channel Sayeeda16. I have been recognized for makeup tutorials, makeup reviews, and affordable products that I share on my YouTube channel. Applying your makeup can be an enjoyable experience or it can be a task if you don't have the right tools. Makeup brushes and sponges are important tools in your everyday makeup routine because they assist with you makeup application and give you a flawless finish. When I began to build my makeup collection I wanted brushes that were great in quality but affordable in price. Real Techniques is a brand that I was introduced to while watching videos on Youtube. Everyone raved about how great the brand was in quality and how affordable it was in price so I decided to give the brand a try. I purchased a few of there brushes (blush brush, expert face brush, powder brush, contour brush, miracle complexion sponge, plus more) and let's just say I was not disappointed. The Miracle complexion sponge is a great dupe to the beauty blender and performs just as well. I love how It gives a flawless finish to my foundation and it's easy to use to blend out my concealer. If you are in need of some great makeup brushes at an affordable price Real Technique would be a great option to consider. Bad Habit Beauty is a brand that has made a name for themselves in the beauty market because of there great recreations or "duping" of other beauty brand products. Some of the brands they have duped includes Anastasia Beverly Hills, Fenty Beauty, KKW Beauty, and most recently Pat McGrath Labs. Bad Habit recreations of these brands have left people wanting more from the brand. The color payoff, the eyeshadow application process, and how affordable the eyeshadow palettes are have gained the brand a great following. I to have become a huge fan of the brand and often find myself lurking on the brands instagram page to see what product they would be releasing next. The only downfall to the eyeshadows is the amount of kickback that you get when tapping your brush into the eyeshadows which can cause you to hit pan on the colors really fast. Not all of the palettes have that problem only a select few I've found that isn't pressed well. If you find yourself wanting to try an expensive eyeshadow palette but don't want to pay the price check out Bad Habit Beauty I'm sure you won't be disappointed. Revolution better known as Makeup Revolution is a UK makeup brand that's making a wave in the US beauty market. They are currently sold at ULTA at an affordable price and has a wide variety of products from face,eyes,and lips. I personally have tried many products from the brand and I must say they are producing some great quality products. My favorite product would have to be the revolution re-loaded eyeshadow collection. These eyeshadows are very pigmented, easy to blend, and the lasting power is amazing for a drugstore brand.The re-loaded collection has an amazing color range for the eyeshadow palettes and everyone will be able to find an eyeshadow palette that they love. The next product is the revolution conceal and define concealer. When the concealer first came on the market it became a staple product for Makeup Revolution that helped to grow the name of the brand in the US beauty market. The concealer is full coverage, easy to blend, and the applicator is the perfect size to apply the product under the eyes. They offer a wide shade range so everyone is able to find a color that would be suitable for there skin tone. It is a brand that I will continue to support and purchase from because of the constant quality and consistency of the brand products. When you think of a lip product that's creamy in texture, highly pigmented, chic packaging, great in consistency does Milani Cosmetics come to mind? The Milani Cosmetics Color Statement Lipsticks is my favorite drugstore lipstick because of its vibrant pigmentation and affordability. The color statement lipstick is easy to apply,it's not patchy or streaky, and the color doesn't feather and bleed. When you purchase the Color Statement Lipstick you are purchasing a product that can be sold at Sephora because of the great quality you are receiving. The lipstick comes in a wide range of colors from nudes, pink, reds, oranges, even purples. It is a lipstick that everyone will enjoy and should consider purchasing. Black Radiance Cosmetics is a brand that most people wouldn't know the name of if you mentioned it to them. However, it is a brand that shouldn't be slept on because they are affordable in price, easily accessible to consumers,and caters to WOC. I purchased my first Black Radiance product three years ago which was the Artisan Color Baked Blush in the colors Toasted Almond and Raspberry. The Artisan Color Baked Blush is a highly pigmented formula which is silky smooth to the touch. I often tell my subscribers on my Youtube channel that the blush can be used as a highlight and blush because of the reflex of shimmer in the product. I love multipurpose products because they save the consumer time and money. If you haven't tried the Black Radiance Artisan Color Baked Blush it is a product that needs to be added to your next shopping list and I know you won't be disappointed. Sayeeda isn’t following anybody yet.